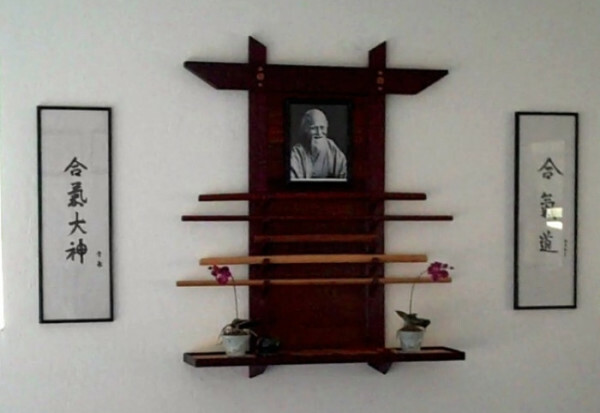 TTo "Give" is always better than to "Receive"
"O'Sensei" or " Great Teacher" Ueshiba is the founder of Aikido. He derived his art from a combination of Martial Arts including primarily " Daito Ryu Aikijujitsu". Welcome to Aikido of Albany. Aikido is an art of self-discovery. We all come into the Martial Arts to learn self-defense. At first this means to us “Fighting”. As a person trains in Aikido they will learn new ways to move their bodies, and develop new physical skills. Along the way the training will change the students perception of what self-defense is all about. All of the above ideas or concepts can have individual interpretations of what they mean. So prepare yourself for a new level of self-discovery that you have not experienced before. As has been said before, the hardest part of Aikido training is coming to the Dojo. If a student can make that commitment, then they are on their way to a larger and more connected version of themselves.